Maharashtra is proto–paradise for any high spirited traveler. Monuments, caves, beaches, river banks, forest areas, wildlife reserves, tiger reserves, world heritage sites, religious pilgrimage. Name any kind of tourist destination and you will find one in Maharashtra. It holds special significance for wildlife enthusiasts since exotic flora and fauna is spread all across the state. Hilly terrains and forests of Western Ghats provide it a beautiful landscape and are home to innumerable wildlife species. Tigers? 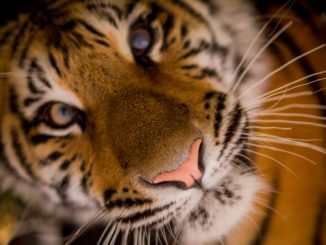 Did you say tigers? Yes, you most definitely can enjoy tiger spotting in Maharashtra. Out of 9113 sq km 3775 sq km is core area and 5338 sq km is buffer area. 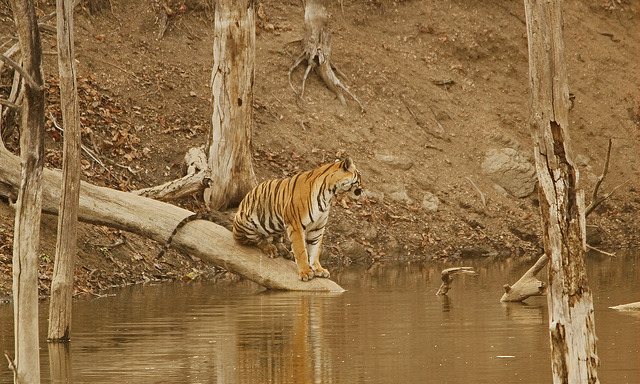 Tadoba Andhari Tiger Reserve graces the district of Chandrapur in Maharashtra. It is the state’s oldest and largest National Park. 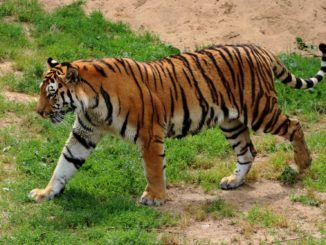 Located about 150 km from Nagpur city, the reserve is one of the 47 Project Tiger reserves in India. 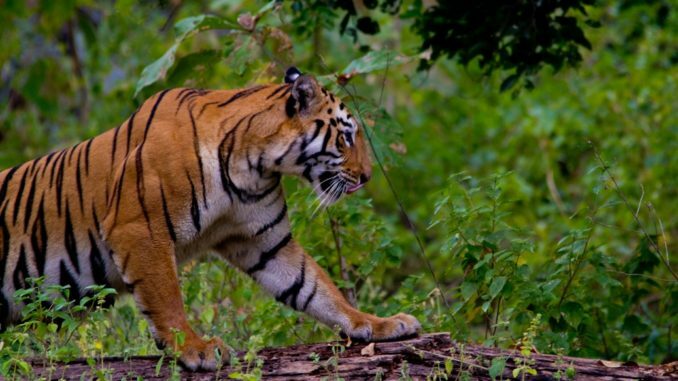 The tiger reserve is spread in a total of 1, 727 sq. km. This area is inclusive of 1955 established Tadoba National Park. 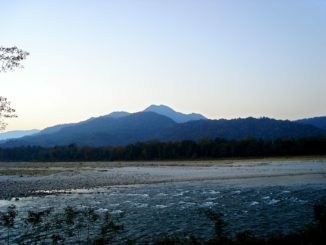 The Andhari Wildlife Sanctuary, created in 1986, was merged with the park in 1995 to form the present day tiger reserve. 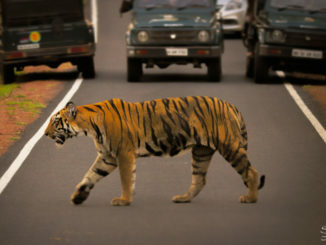 As per the National Tiger Census conducted in 2010, count of tiger population in Tadoba stands at 43. This is one of the highest stats in India. You can fulfil your tiger spotting wishes here on a Tiger Safari. It is the best place to meet a Royal Bengal Tiger. The safari is open for about 4 hours each in morning and afternoon sessions. 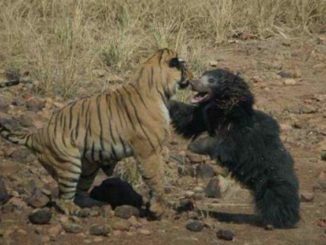 The reserve is divided into three safari zones, namely, Moharli Zone, Tadoba Zone and Kolsa Zone. Out of these, Moharli provides the best occasions for tiger spotting. 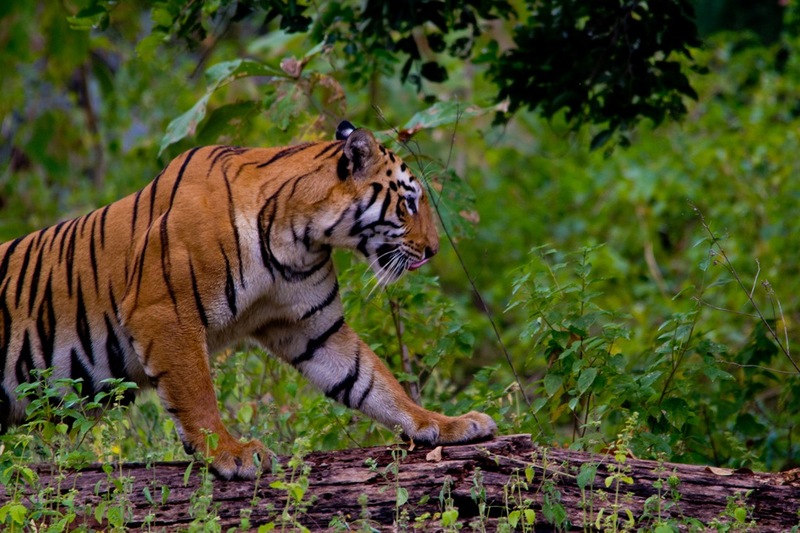 Tadoba and Kolsa zones are popular for their striking landscape features and wildlife diversity. Safaris can be booked at the Nawegaon gate of the DFO office at Chandrapur district. Be sure to reach early for safari bookings since only 36 jeeps inside the reserve are allowed at a time. Nagpur and is the closest of all to the city. It also allows the highest number of vehicles inside i.e. 9 each in morning and afternoon. Umred Karhandla Sanctuary is about 58 km from Nagpur and 60 km from Bhandara. 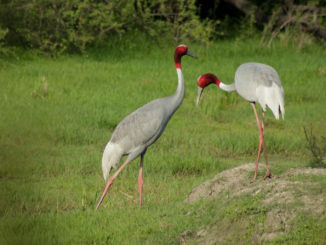 This Sanctuary also has a connection with the Tadoba Andhari Tiger Reserve through the forest along the Wainganga River. It is home to resident breeding tigers, herds of Gaur, wild dogs and also rare animals like flying squirrels, pangolins and honey badger. The sanctuary provides connectivity between key tiger reserves like Tadoba, Pench, Bor, and Nagzira. It thus also serves to reduce the pressure of tourists and tourist-related activities from those protected areas because they are more Eco-sensitive. From the last few years, the number of tourists is increasing. Tigers are very commonly seen here by many villages around the sanctuary. About 100 km of motorable road has been developed out of which tourists are allowed on 44 km. The road can handle about 40 vehicles- 20 in the morning and 20 in the evening. The Forest department has trained about 20 villagers from the nearby areas as guides which provide them employment. The main entrance of the sanctuary is at Karhandla village. It is one of the most visited wildlife sanctuaries, after Pench in the Nagpur area. The Tiger Jai, regularly sighted in the park, has migrated here from the sanctuary at Nagzira. He is the only male and has over nine cubs from three female tigresses. This jungle has become a hotspot for many tourists and photographers who treat Jai no less than a superstar. The name “Nawegaon” comes from the word Nawe + gaon (Nawe means new in Marathi and Gaon means village). This area is also known as Nawegaon Bandh locally (bandh means dam in English) because of the presence of the water body. Mostly tribal people live here and this area was under Gond Kings in the old days. Nawegaon-Nagzira Tiger Reserve was notified as 46th tiger reserve of India on 12th December 2013. It’s the 5th Tiger Reserve of Maharashtra. It is situated in Gondia and Bhandara Districts in the North–Eastern corner of Maharashtra. Strategically the Tiger Reserve is located in the heart of central Indian Tiger landscape which contributes almost 1/6 of the total tiger population of the country. This area is an excellent abode to almost all major floral and faunal species found in central India. 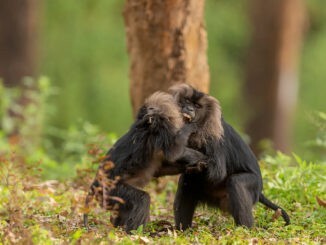 Apart from tigers, other animals like Panther, Palm Civet, Jackals, Bisons, Sambars, Nilgais, Chitals, Wild boars, and Sloth Bears can also be seen. The sanctuary also serves as a living repository of various economic, medicinal, aromatic, ornamental plant species. The tiger reserve is open to tourists throughout the year, with different timings depending on the season. Means of travel in the reserve and different forms of accommodation is available for visitors. If you are lucky, you can witness many majestic big cats sprawling around in this undisturbed landscape. 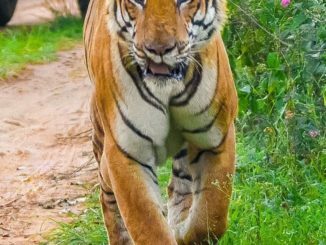 Pench National Park or Tiger Reserve is one of the premier tiger reserves of India and the only one to straddle across two states – Madhya Pradesh and Maharashtra. 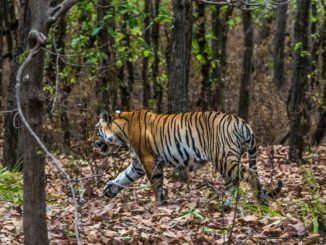 As per many experts, this area is considered as one of the most prime and critical tiger habitat remaining in central India. 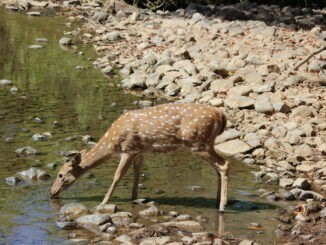 It derives its name from its life line-the River Pench. Inside the park, the river flows from North to South before going on to join the Kanhan River. 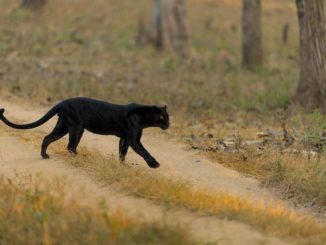 This area was described as extremely rich and diverse in wildlife from the earliest records available on the 16th century Deogarh kingdom. The scenic beauty and the floral and faunal diversity of the Central Indian Highlands have been well documented by the British since the late 17th century. The fictional works of Rudyard Kipling, The Jungle Book, and The Second Jungle Book, are set in the region. Kipling himself never visited the area, instead of basing his descriptions on other locations in India. 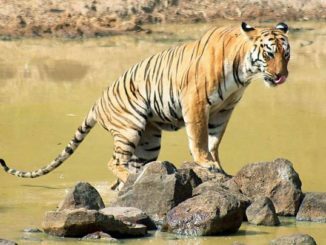 As of May 2017, the number of tigers in Pench Tiger Reserve has increased up to 44 as compared to 31 in 2016. From this numbered estimate, 22 are males and 22 are females. This estimate does not include the number of cubs present, which are assumed to be about 7-8. 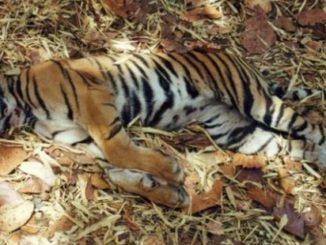 The estimation was conducted jointly by the Wildlife Conservation Trust (WCT) and Pench Tiger Foundation, spread over 21 days in January 2017. There are six tourist entry gates at the reserve. 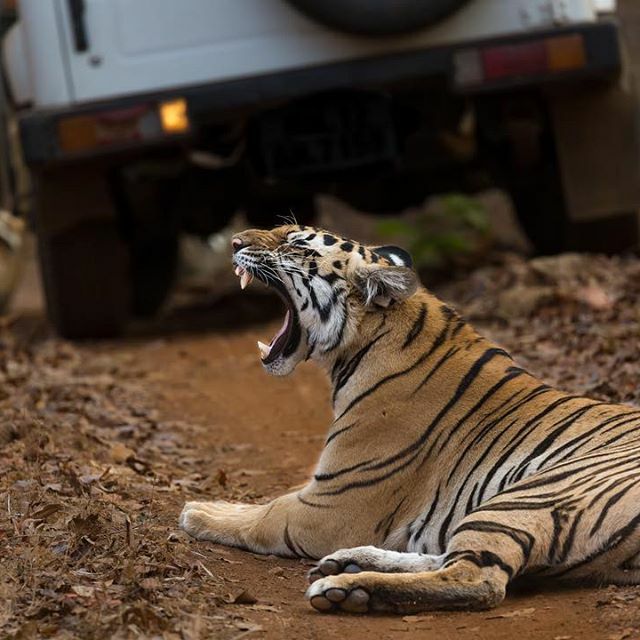 Much like the system of wildlife tourism in most of India, the tourism activity in Pench Tiger Reserve is restricted to 20% of the core area and is carried out through safari drives done each day in the early morning and evening. The number of jeeps that are allowed entry into the reserve is restricted by the Forest Department. 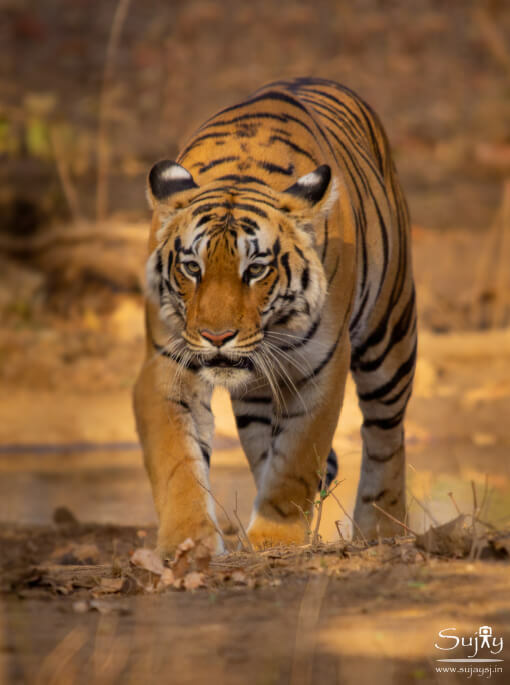 Pench National Park is one of the most famous park to see a Tiger in Maharashtra.